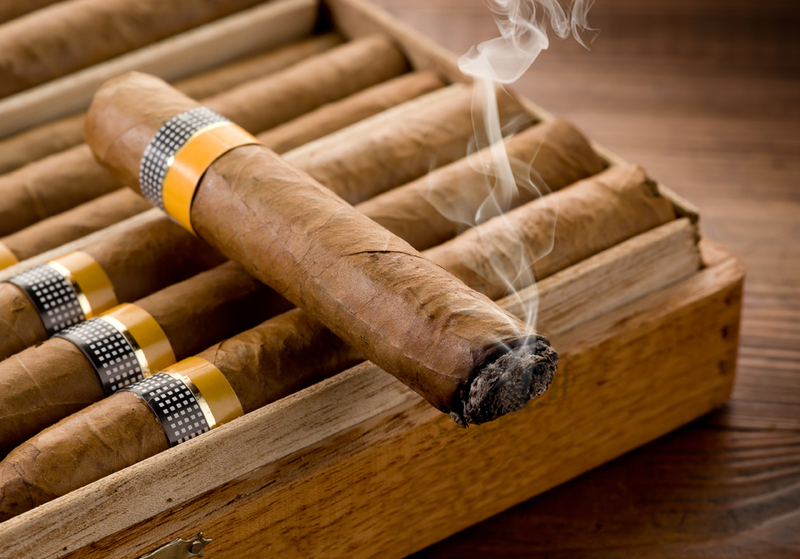 With summer just around the corner, it’s vital to designate a summer scent for yourself. When selecting, choose a fragrance that is light, airy and mirrors the feel of the beautiful weather outside. 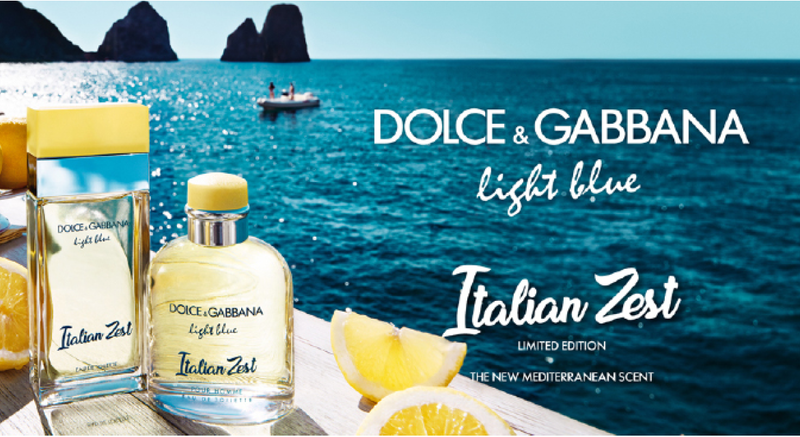 Dolce & Gabbana’s new limited-edition scent, Italian Zest, is the ultimate choice. The collection offers a perfume and cologne, so both men and women can enjoy this summery aroma. 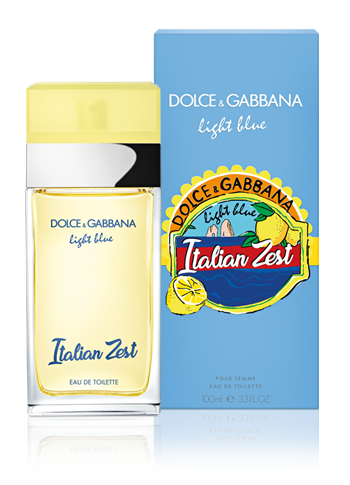 The Italian Zest fragrances put a twist on Dolce & Gabbana’s cult favorite, Dolce & Gabbana Light Blue. Inspired by the scents that permeate the southern island of Capri, the luxury brand perfectly encapsulates the island’s citrusy aroma. When worn, Italian Zest will instantly transport you to Capri’s stunning coastline, leaving you with an alluring smell that will attract any passerby. When creating this enchanting scent for women, Dolce & Gabbana pulled its inspiration from the Limoni primofiore (a lemon tree’s first bloom). Italian Zest boasts sweet-smelling top notes of Sicilian cedar, Granny Smith apple and primofiore lemon to give the perfume a light scent. When mixed with the heart notes of white rose and jasmine petals and base notes of ambery notes and warm musks, Italian Zest is completed, leaving the wearer with a mesmerizing scent unlike any other. 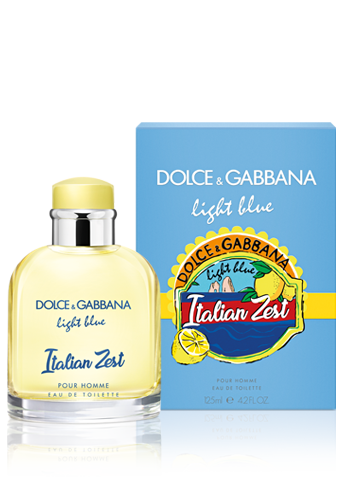 Unlike its counterpart, Dolce & Gabbana’s Italian Zest for men pulls inspiration from another signature Italian scent: fresh bergamot. The citrusy fruit bursts to life, infusing the streets of Calabria everywhere you turn. Inspired by the allure of bergamot, Dolce & Gabbana bottles the scent and transforms it into one of it’s top notes along with grapefruit and mandarin. Heart notes include pepper, juniper, rosemary and rosewood, while base notes include incense and musk notes. Together, all these notes create the perfect summer scent for men. Currently, both fragrances are available for purchase on sephora.com and retail from $68-$100 depending on size. For more information on the fragrances, visit DolceGabbana.com.